In June 2016, Mediacom unexpectedly lost the global Volkswagen account which had been a client for almost two decades and was one of its top three revenue generators with an annual marketing budget of $2-3 billion. Overnight they were announced as Media Network of the Year at Cannes Lions. 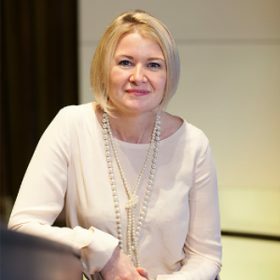 B&T sat down with their global chief HR & talent officer Helen Brown (pictured below) to chat about their remarkable journey and the broader topic of industry diversity. 2017 saw Mediacom have one of the best years you’ve ever had following possibly one of the worst years you’ve ever had. How important was culture in helping you rebound from 2016? Culture was really really important to turn that year around into something phenomenal. It was Steven Allan (global CEO) and Toby Jenner (global COO, former CEO Mediacom Australia) and together they created this concept of ‘Project Fightback’. ‘Project Fightback’ was an internal communication to employees to say that we are down but we are not out. VW was one of our largest clients. To lose that account was a real shock to the organisation, especially the smaller regional offices where it was a large percentage of their billings and their revenue. ‘Project Fightback’ was about one Mediacom and pooling all of our energy, our resources and our passion to go out and win business. In 12 months, the target was to put back everything we lost. And that was what was achieved. It was one of the proudest moments of my life. Because seeing a network in their toughest times come together as one organisation and put in an astounding amount of work to win multiple businesses was quite moving. It really showed the power of people, diverse people, pulling together with one goal. Was it difficult to attract new talent at this time? It wasn’t actually. We were very proud of the fact that we had over 630 employees globally working on the VW account. And we had a 10% attrition on that. We found roles for every other person. Instead of hiring externally, we would ensure that we would put one of those people who had been working on VWG in an account where they could really shine. And that was a priority. When the chips are down, you don’t go externally to find a solution, you look after your people first of all. I think that was a story that was heard externally and therefore maintained Mediacom’s attraction. And the story of ‘Project Fightback’ and how an agency can put itself back together and get back on its feet in a short space of time was again very attractive for people with high energy, passion and drive. And those are the people we want. How are you tackling diversity? We have global clients with global consumers. Diversity has to be reflective of the clients you’re working on and in the markets you’re working in. From a gender perspective, across the agency there is more women in general. In senior leadership positions, we have 40% women and 60% male. So it’s not 50/50 and we’re working on that. At the C-suite level, there’s 2 women and 10 men so we have more work to do there. Are men better at networking than women? I don’t think they are. How many women use social media? Far more than men. So I think that’s a fallacy, that we construct these reasons why it’s happening. Men interact in different ways. I don’t think they’re better at networking. There’s just more of them, in business, to network with. I go to networking events and I’m still the token female at things. Across the industry, it’s an issue because we hire in our own like. Human beings have natural pack instincts. It takes a lot of training to be able to look at someone dispassionately for just the skills and experience, the capability they’re bringing rather than likability. If you only have a load of senior males hiring, they’re actually expanding their own networks. That’s what we have to break. It’s about putting simple things in place like, for every job, you have a man and a woman on the interviewing panel. Most of the guys would be devastated if they thought they were being in any way biased. “Of course I hire women, I love women”. The intention is good, but the behaviour is bad, unintentionally. As an organisation, you have to recognise that this isn’t something that they’re doing intentionally and put processes into place that mitigate that risk of like just hiring like. It happens both ways. You’ll see it in women’s teams too. How important to do you think brands are in pushing their agencies to be more diverse? I don’t think it should be necessary, it’s sad if it is. But those organisations who maybe are still struggling to move towards a more gender neutral and diverse organisation – maybe the pressure from the brands will give them that nudge to get there. Any thoughts on the #timesupadvertising campaign that has just launched in Australia? WPP have a whistleblowers team in place that is run by a third party. Any employee that has experienced harassment, bullying or thinks that there is something unethical in place can phone this hotline. Access is confidential and the third party will investigate it and make recommendations of what the outcome should be. There is zero tolerance for sexual harassment. It’s one of those things we shouldn’t even be having a conversation about in the 21st Century, in the media business, in any country in the world. It’s not acceptable. I know there are cultural differences. I know in Australia it’s quite blokey, there’s quite a lot of drinking. There’s behaviour and I go, “Whoa, not in London”. But you have to be sensitive to the culture you’re in. If it got to the point where someone was feeling harassed, that’s not acceptable. I hope there will be a backlash in Australia against that. I hope there is in any country where sexual harassment is swept under the carpet. We’ve seen this a lot in India. Thankfully not that I’ve heard in our organisations.